ANNOUNCEMENT FROM J.K. ROWLING – Harry Potter is Bisexual and a new trilogy is coming soon. Harry Potter will come out as bisexual and have a love affair with Ron Weasley in a new spin-off book series, JK Rowling has confirmed. The new trilogy of novels will take place 19 years after the events of Harry Potter and the Deathly Hallows, which saw Harry marry his best friend’s sister, Ginny Weasley. In the first book of the new series, entitled Harry Potter and the Enchanted Tryst, the titular character will share an “intimate experience” with Ron. The novel is due for publication on February 30, 2021. News of the bisexual plot twist follows recent backlash to JK Rowling’s announcement that Dumbledore is gay. Last month, the author revealed that the fan favourite headmaster had a “sexual relationship” with dark wizard Gellert Grindelwald. I would love to hear what everyone thinks of this announcement. Are you thrilled that there are going to be more Harry Potter books coming out? What do you think about the announcement that Harry is bisexual? Do you think J.K. Rowling really thought Harry was bi when she wrote the original series? Or do you think she is just using this plot line to be seen as politically correct? Or is she using Harry’s sexuality just to get people talking about her upcoming books? Publisher: ARTHUR A. LEVINE BOOKS – AN IMPRINT OF SCHOLASTIC INC. This is the eighth Harry Potter story and it takes place nineteen years after Harry Potter has defeated Voldemort and the Battle of Hogwarts. Harry is no longer “The Boy Who Lived,” he is a thirty-seven year old man with a family of his own. He is married to Ginny Weasley and they have three school-age children: James, Albus and Lily. Harry is now the Head of Magical Law Enforcement and Ginny is an editor at “The Daily Prophet” wizarding newspaper. Harry is still best friends with Ron Weasley. Ron is also a married man and a father. He is married to Hermoine Granger. Harry’s kids even call him “Uncle Ron.” Hermoine is now the Minister for Magic and Ron owns and operates a Joke Shop. They have a daughter named Rose who is the same age as Harry’s son Albus. Fans of the Harry Potter series will be instantly immersed once again into the magical world that has enchanted billions of fans worldwide. Upon discovering that this book is not a “book” in the traditional sense, but instead is actually the script for the stage production of the same name, I was unsure if it would still have the impact as an ‘actual book.’ I should have had more faith in the writing prowess of J.K Rowling as it is, without a doubt, simply AMAZING. This “book” focuses on Harry’s youngest son: Albus, as well as on Draco Malfoy’s son; Scorpius. 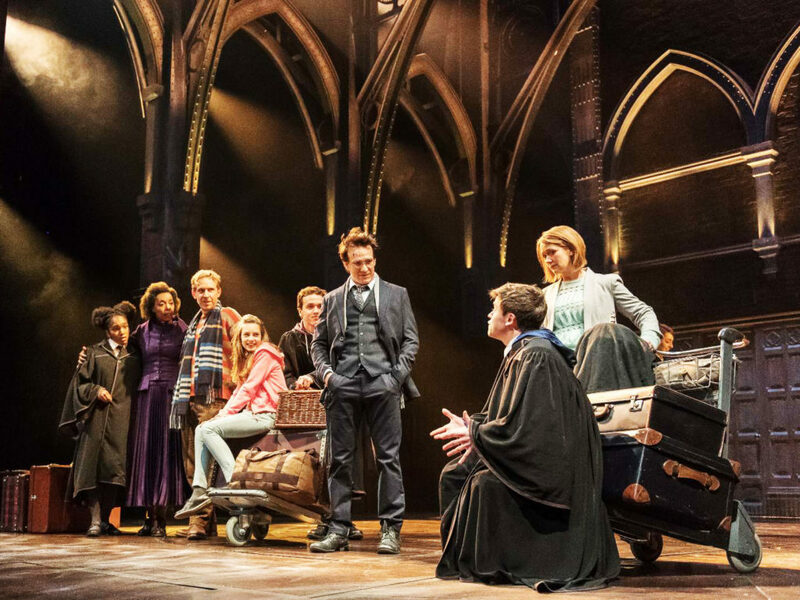 HARRY POTTER AND THE CURSED CHILD has everything a reader (and a fan) could possibly want. There are prophecies to defeat, sorting hat rhymes, surprises and surprising characters. There is teenage angst and love interests. There is dark magic and light magic. Some favorite characters make surprise appearances and Harry Potter is not so different now from when he was a student at Hogwarts. Nineteen years after the Battle of Hogwarts, the future and the past entwine in astonishing ways. Will darkness overtake the wizarding world? Or will good find a way to triumph over evil once again? The answer may surprise you. I read this entire book (all 320 pages) within 24 hours of purchasing it and loved every page. The fact that it is written as a play means that the focus is mainly in dialogue and stage direction, but this works astoundingly well. I rate this book as 5 out of 5 Stars. 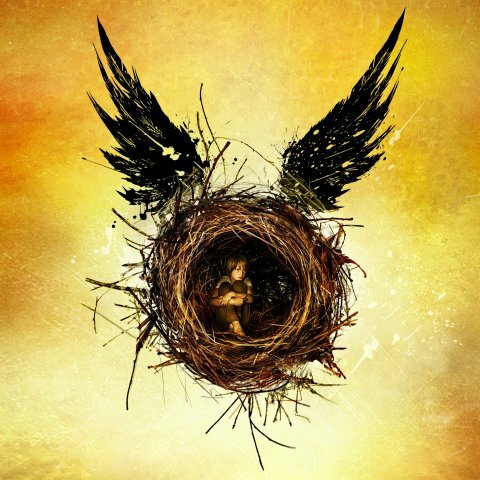 After reading HARRY POTTER AND THE CURSED CHILD I can’t wait to see the stage production. Currently it is being performed in London, England, but I am hopeful that it will come to Toronto, Ontario, Canada soon. Once it does, I will be one of the first people in line to buy tickets. 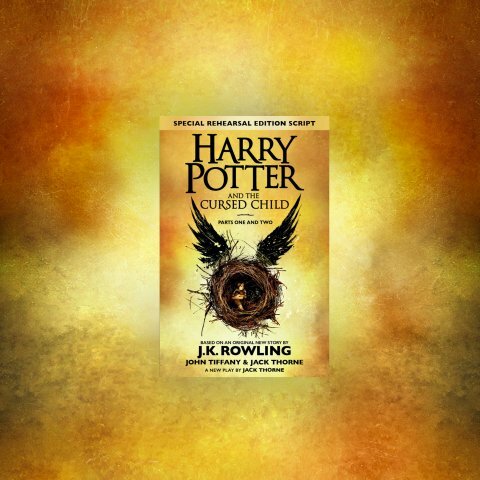 HARRY POTTER AND THE CURSED CHILD PARTS ONE AND TWO may not be performed in whole or in part and no use may be made of it whatsoever except under express license from the rights holders of the work, J.K. Rowling and Harry Potter Theatrical Productions Limited. Please email inquiries@hptheatricalproductions.com with any inquiries.